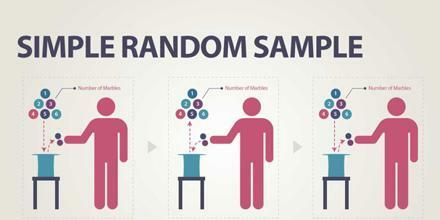 Simple Random Sample is chosen in such a way that every set of individuals has an equal chance to be in the selected sample. In a simple random sample, individuals are chosen at random and not more than once to prevent a bias that would negatively affect the validity of the result of the experiment. It is a basic type of sampling, since it can be a component of other more complex sampling methods. It is often mentioned in elementary statistics classes, but it’s actually one of the least used techniques. How to Add Pounds and Ounces?